• Set-of-2 Stainless Steel Straws: Ideal for cold drinks, fruit smoothies and dinner party cocktails. When compared with other less-expensive stainless steel straws on the market, our durable straws have a thicker stainless steel wall and smooth, rounded edges. Clean with our handy straw brush. We recommend supervising young children while using stainless steel straws. Dishwasher safe. 8.5” long, 5/16". • Round Nesting Trio: Perfect for fruit, pasta salad, chips & hummus, apples & peanut butter, bagels and more. Also use to store leftovers in the refrigerator. And since they all nest inside one another they take up very little storage space. Dishwasher safe. Leak-resistant lids. Etched tare weights on bottom of containers. 16oz, 9oz, 5oz. • Large Food Kozy Wrap: Our reusable sandwich wrap is similar to a snack bag, but lies flat to double as an on-the-go placemat, making them great for school lunches. Perfect refrigerator storage for snacks and leftovers like cut vegetables and blocks of cheese. They're also the ideal waste-free alternative for takeout, picnics and travel. Unlike a cloth snack bag, this non-toxic surface is easy to clean, dries quickly, keeps food from seeping through, and the slick surface is perfect for messy foods. Made from LDPE #4 plastic. 15.5" diameter. 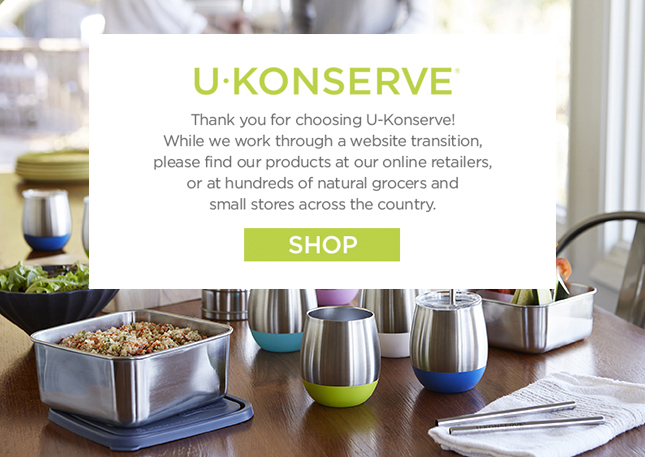 All products are free of BPA, phthalates and lead.